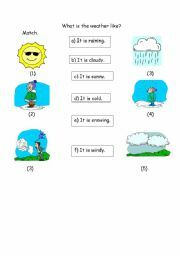 This is an easy worksheet which revises basic questions! 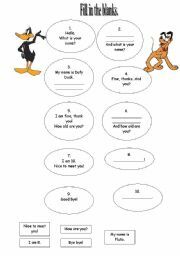 I think Bugs Bunny´s and Mickey Mouse´s meeting will attract your students´ attentions to teach them greetings.I used it in my class.I hope you´ll like it. Dufy Duck and Pluto are going to meet, which will attract your students´ attention. 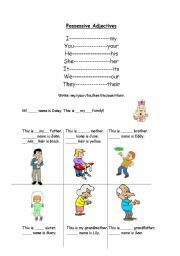 Easy handout to show personal pronouns! 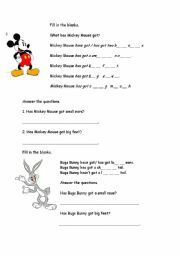 To write what Bugs Bunny and Mickey Mouse may be enjoyable for your students. 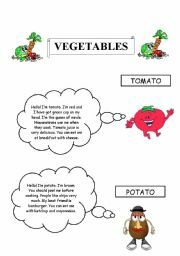 This is a colourful worksheet to paractice likes and dislikes through reminding food vocabulary! 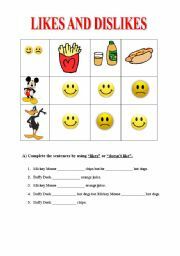 Learn Mickey Mouse´s and Duffy Duck´s likes and dislikes! BUGS BUNNY AND MICKEY MOUSE HAVE MET! 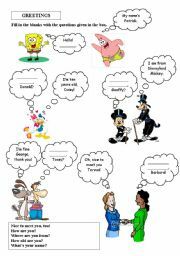 YOU CAN TEACH POSSESSIVE ADJECTIVES WITH THE FLINSTONES! It´s a nice and colorful ppt which contains some exercises in it. 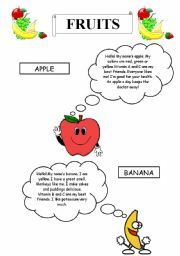 I hope you and your students will like it! Possessive ´s, has got or is? This is a nice and simple powerpoint about "too-enough" and their use. Teach your students with Mario and Spiderman! A short description of the articles, I hope it will work! this is the forth and the last part of the presentation, I hope you will collect and like it!